Chairman of the House of Representatives Committee on Media and Public Affairs, Hon Abdulrazak Namdas has reacted to plans by his colleagues to defect en masse from the All Progressives Congress, APC. He said the Green Chamber was in no position to stop defectors. Namdas told Leadership Newspaper that the issue of members defecting to another political party was personal to each member and their individual political parties. “We cannot stop anyone from defecting, members are free to defect to other political parties, as long they follow the rules. It is an individual issue between the party and such members,” he said. The House Spokesperson added that it was it was left for the political party to determine whether or not to take actions on the matter. “It is left for the party to deal with such members according to the provisions of the constitution, if they feel their mandate is being taking to another political party,” he said. 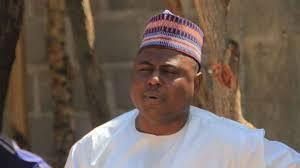 Namdas, however, declared that he does not have a plan to defect from the mainstream APC. “I am of the APC, the real APC, no prefix, no suffix, those planning to defect would be in a position to tell you their plans,” he stated. Already, several lawmakers, including the member representing Owo/Ose federal constituency of Ondo State, Hon Bode Ayorinde, and another from Ifelodun /Offa/Oyun federal constituency of Kwara state, Hon Tope Olayonu, have declared their affiliation with the reformed All Progressives Congress (rAPC).